Reading | Careerschap | The musings of a careers professional in the higher education sector. Reading lists, reviews, reflection careers related or otherwise. I’ve noticed a recent spate of articles in the news as well as the blogosphere on robots, AI and the impact on society and the labour market so I thought I’d jump on the bandwagon. I wanted to highlight a couple of thought provoking pieces I’ve read recently in the Guardian that reference a recently released BOA report that drew on research from Carl Benedikt Frey & Michael Osborne in this area. The first was Robot revolution: rise of ‘thinking’ machines could exacerbate inequality which focuses on how the global economy will transform over the next 20 years. The content isn’t overly radical – for example the cost efficiency of using robots over people even through offshoring – but it does summarise and tie together important themes. Unsurprisingly there is no universal agreement on the impact of technology on society as a whole and the article duly refers to it as the “stark divide between techno-optimists and pessimists”. So what’s my stance on this? 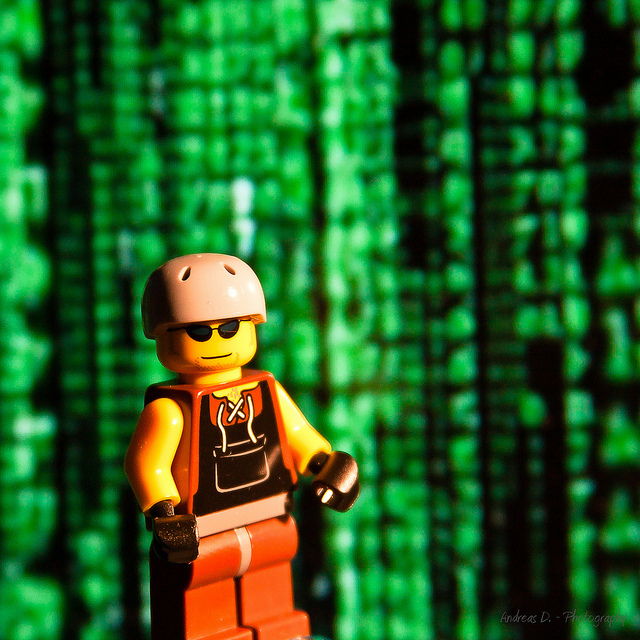 I blogged about technological determinism a while back “Why is everyone so busy? Why our technological future hasn’t really delivered” particularly around the lifestyle gains technology was supposed to deliver. John Keynes is referenced again and I’m in complete agreement when the piece refers to the need for a societal rethink between the relationship between work and society. It makes me wonder where the end game may be as efficiency gains from technology continue unabated in conjunction with the continued growth in the world population (here’s a geeky world population clock which I quite like ). This all does make me question how sustainable education and effective career management could be as agents to offset the fast paced change within job sectors and roles in our lifetimes. Surely, somewhere in the future the endgame is that we don’t need to work for basic human need? This would therefore require a huge economic and cultural shift to meet John Keynes utopian vision of 15 hour working weeks. The second article I read mirrors the first. “Artificial intelligence: ‘Homo sapiens will be split into a handful of gods and the rest of us”. Picking out a real danger from the advancement of technology the dangers of marginalisation and inequality are identified. It doesn’t yet feel like society has got to grips with the demise of our usefulness in developed economies or the societal changes needed to live in a future world where our role may be one of play and leisure rather than work. For example, the way those unfortunate enough to be out of work (most of us have been there) are often demonised as a collective group in society tells us perhaps we aren’t ready and conditioned yet. Alas, both articles are a great read and as ever the blogosphere is a lonely place so make your views known! Reading for 2014: Careers theory & bedtime reading. What better way to kick off my blog than with my reading plans for 2014. I’m not going to be too rigid in terms of when and how long it will take for these books to be digested (work, family commitments), but when it happens you’ll know about it here first! Firstly, in terms of my own experience and with my professional hat on as a careers advisor I have found, on occasion, that serendipity and chance have played huge parts in shaping my own and the clients that I have worked with career paths. This extends not only in achieving preferred outcomes but also when we feel life has dealt us an unfair hand. An unfortunate example for myself was attending a job interview in my younger days and having my mobile phone that I thought had been turned to silent go off halfway through an interview. Needless to say I did not get the job (or maybe it was the stripy tie) . Now, apart from learning an obvious and important lesson, it does get you thinking in the chick-flick sliding doors sense, what would have happened if the phone hadn’t have gone off? If whoever had called me had done so 10 minutes earlier or 20 minutes later and therefore hadn’t broken my concentration and incurred the unspoken wrath of my interviewer? Parallel, divergent universes or whatever you call them aside, once you think of one example, it is easy to think of others that have shaped and influenced our lives and careers. For this reason – and also because I like my clients to be prepared and ready to face different possibilities and opportunities I plan to read The Chaos Theory of Careers : A New Perspective on Working in the Twenty-First Century by Robert Pryer & Jim Bright. My motivation for reading is its relationship to another career choice theory – Planned Happenstance. I’m a great believer in today’s competitive and shifting labour market that more than ever we need to embrace and work with chance to exploit the opportunities available to us. It’s OK not to know exactly what you want to do, non-linear is the new linear as long as you take preemptive action, respond and keep an open mind to opportunities. The big question is why do we have to decide before we take action? 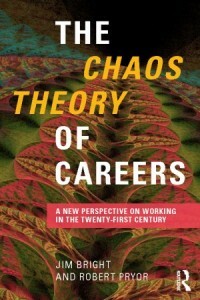 I’m looking forward to reading how a complex concept such as chaos transfers into any kind of practical careers theory structure that helps us understand or “frame” the relationship of chance and other intricate factors (I think they call it indicators) affecting our career choices and outcomes. Planned Happenstance is an approach (and I believe a powerful one) in helping us to navigate through our individual career. The reason I believe this has real value is it can bring a refreshing clarity to how we approach new opportunities and perhaps unburden ourselves from the pressures of conformity that exist in academia and the workplace. Slightly off track but I read a refreshing message from Paul Redmond:AGCAS president recently that resonated (but not explicity) the value of this approach when he wrote about the lexicon of graduate/non-graduate jobs. Not being from a physics/maths based background I’m hoping this book will be relatively accessible and offer some useful insight into the connectivity of factors affecting our career choices. Or in continuation of my sliding doors reference perhaps it will add a new dimension to my practice (sorry). In any case this is the first “serious” book on my list. If you’ve read this far, to counteract the chaos, I’m currently halfway through my all time favorite author Michael Connelly and his latest novel called Gods of Guilt centered around the main character; defense attorney Mickey Haller (if you’ve seen the film The Lincoln Lawyer that’s the adaptation from the book of the same name and our first introduction to Haller). If I was to define the genre of his work it would be crime fiction – procedural. An unusual but powerful blend but explained by way of Connelly being a former crime reporter for the LA times which reflects in his knowledge of process. It amazes me how over the last 6 years, since I started reading his novels, I’ve yet to meet a friend or colleague who has read one of his books. He’s an international best selling author! So if you haven’t already give him a try.